Maeve O'Hara is a percussionist, singer and music teacher based in Dublin. She holds a Bachelor of Arts (hons) degree in Music which she gained while studying at the Royal Irish Academy of Music with Richard O'Donnell. ​Since graduating in 2010, Maeve has performed, toured and recorded with various musical groups in Ireland including the RTÉ National Symphony Orchestra of Ireland, the RTÉ Concert Orchestra, the EQ Ensemble, Anúna, Opera Theatre Company and Ensemble ICC. She is also a regular member of the band Ensemble Eriu with whom she won a TG4 Gradam Ceiol Award for Musical Collaboration. Maeve founded a duo with fellow percussionist, Caitriona Frost, and they had their debut concert in the John Field Room at the National Concert Hall in September 2014. She also regularly performs with the Bangers and Crash Percussion Group. As a percussionist and singer, Maeve has performed nationally and internationally including parts of Europe, China, Canada and the USA. 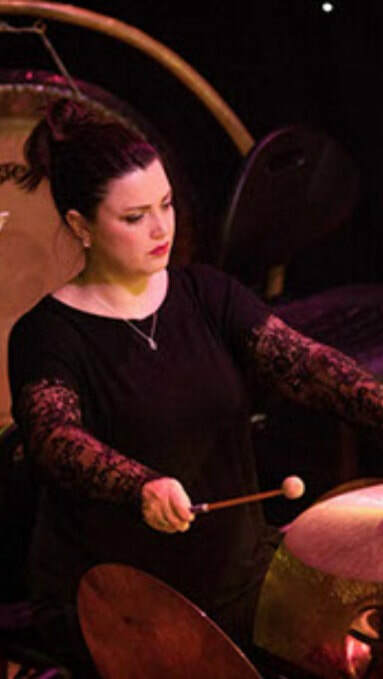 She joined the IMO in 2014 as principal mallet percussionist, specialising on marimba and glockenspiel.